Oriental-inspired Sheridan Boutique Resort is one of the few high-end accommodations in Iloilo. Tucked away in Oton town on the outskirts of the city, this place is perfect if you want to enjoy a peaceful and comfortable stay and still get to the convenience of easy access to the city center. It is a bit of splurge, compared to rates of most hotels in Iloilo, but the unique and restful ambiance, top notch amenities, and private feel provides great value for money. Sheridan Boutique Resort only has around 10 rooms ranging from Casitas-style accommodations to a Presidential Suite. Most of the rooms have their own balcony that opens up to a view of the man-made lagoon that occupies much of the property. The resort also has an infinity pool with Jacuzzi and a Asian-Western restaurant onsite that can also be found at the side of the lagoon. The architectural design of the buildings and resort decor exude Balinese and Thai influences that add to the luxuriating exotic appeal. From the low-profile streetside main entrance, most would probably never expect this paradise to exist inside, contributing to an exclusive feel for guests. The resort offers day tour packages for guests who are not staying overnight, but wish to enjoy the infinity pool. Additionally, their restaurant is open to all diners. Casitas PHP4000 Double aircon room with private T/B. Complimentary breakfast included. Deluxe PHP4000 Double aircon room with private T/B. Complimentary breakfast included. Suite Room PHP6400 Double aircon suite with private T/B. Complimentary breakfast included. Sheridan Boutique Resort is located in Oton town, which is around 20 minutes away by taxi from Iloilo City Proper. The way to the resort follows the Iloilo-Antique highway that passes through the coastal towns of Southern Iloilo. After going past the Iloilo City-Oton boundary found near Mohon Terminal, watch out for the Total Gas Station on the right side of the road. Upon reaching Total Gas Station, go straight. The resort is only around 250 meters away on the right side of the road. Ride an Oton jeepney to Oton Town Plaza (20 minutes). You can find a jeepney stop near (1) Molo District Plaza / Iloilo Supermart – Molo Branch and along (2) General Luna-Diversion Road intersection (popularly known as stoplight). From Oton Town Plaza, ride a tricycle to Sheridan Boutique Resort (2 minutes). Alternatively, you can also drop off at the Total Gas Station found before reaching the Batiano Bridge and Oton Town Plaza. From there, tricycles are a bit harder to come by but you can take a short walk to Sheridan Boutique Resort (3 minutes). The Oton-Santa Barbara road provides easy access to the Iloilo Airport. Travel times takes around 20-30 minutes if you have or arranged airport transfers with the resort. 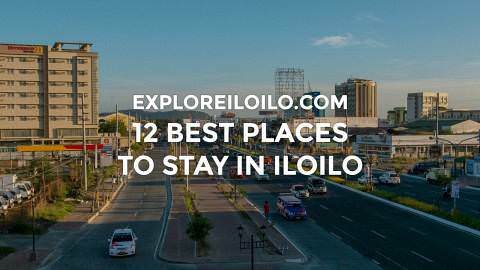 If commuting, it takes will take significantly longer since you would have to travel to Iloilo City first and then go on the commute to the airport. Sheridan Boutique Resort is near the Mohon Terminal, where jeepneys to the Southern Iloilo towns of Tigbauan, Guimbal, Tubungan, Igbaras, Miagao, and San Joaquin are stationed. The resort is around 2.4 kilometers away from the terminal, which takes around 5 minutes to get there by car or local commute. Alternatively, you can flag the same jeepneys and Antique-bound buses near Oton Town Plaza, which is nearer to the resort. 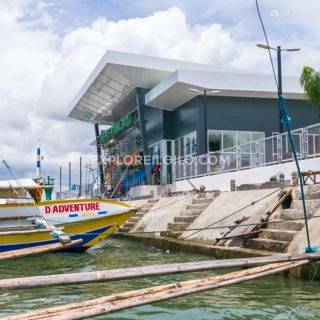 Sheridan Boutique Resort is 15 to 18 kilometers away from other major transport terminals in Iloilo including Tagbak Terminal (Roxas, Kalibo, Boracay), Iloilo River Wharf (Bacolod, Palawan), Iloilo Domestic Port (Manila, Cebu), and the Iloilo-Guimaras Ferry Terminal. Discover more blogs and travel tips in Oton.